The elastostatic deformations of functionally graded beams under various boundary conditions are investigated by using different beam theories and the Symmetric Smoothed Particle Hydrodynamics (SSPH) method. The numerical calculations are performed based on the Euler-Bernoulli, Timoshenko and Reddy-Bickford beam theories. The performance of the SSPH method is investigated for the comparison of the different beam theories where the beams are composed of two different materials for the first time. For the numerical results various numbers of nodes are used in the problem domain. Regarding to the computed results for Reddy-Bickford beam theory various numbers of terms in the Taylor Series Expansions (TSEs) are employed to improve the accuracy. To validate the performance of the SSPH method, comparison studies in terms of transverse deflections are carried out with the analytical solutions by using the global L2 error norm. Sankar, B.V., An elasticity solution for functionally graded beams, Composites Science and Technology, 2001, 61, 689-696. Zhong, Z., Yu, T., Analytical solution of a cantilever functionally graded beam, Composites Science and Technology, 2007, 67, 481-488. Nie, G.J., Zhong, Z., Chen, S., Analytical solution for a functionally graded beam with arbitrary graded material properties, Composites Part B, 2013, 44, 274-282. Ding, H.J., Huang, D.J., Chen, W.Q., Elasticity solutions for plane anisotropic functionally graded beams, International Journal of Solids and Structures, 2007, 44, 176-196. Kadoli, R., Akhtar, K., Ganesan, N., Static analysis of functionally graded beams using higher order shear deformation theory, Applied Mathematical Modelling, 2008, 32, 2509-2525. Li, X.F., A unified approach for analyzing static and dynamic behaviors of functionally graded Timoshenko and Euler–Bernoulli beams, Journal of Sound and Vibration, 2008, 318, 1210-1229. 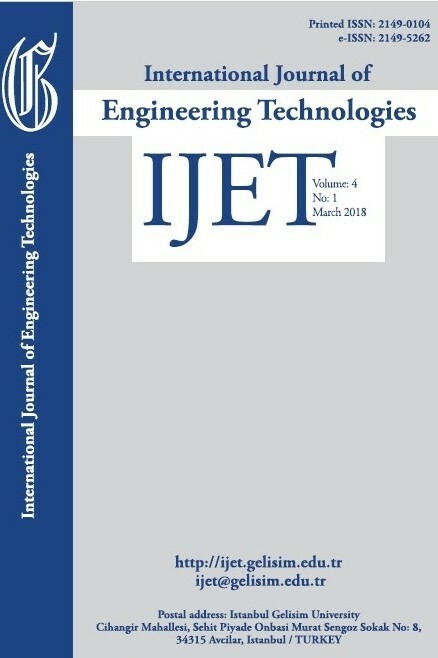 Benatta, M.A., Mechab, I., Tounsi, A., Abbas, A.B.E., Static analysis of functionally graded short beams including warping and shear deformation effects, Computational Materials Science, 2008, 44, 765-773. Ben-Oumrane, S., Tounsi, A., Mechab, I., Mohamed, B.B., Mustapha, M., Abbas, A.B.E., theoretical analysis of flexional bending of Al/Al2O3 S-FGM thick beams, Computational Materials Science, 2009, 44, 1344-1350. Giunta, G., Belouettar, S., Carrera, E., Analysis of FGM beams by means of classical and advanced theories, Mechanics of Advanced Materials and Structures, 2010, 17, 622-635. Menaa, R., Tounsi, A., Mouaici, F., Mechab, I., Zidi, M., Bedia, E.A.A., Analytical solutions for static shear correction factor of functionally graded rectangular beams, Mechanics of Advanced Materials and Structures, 2012, 19, 641-652. Li, S.R., Cao, D.F., Wan, Z.Q., Bending solutions of FGM Timoshenko beams from those of the homogenous Euler–Bernoulli beams, Applied Mathematical Modelling, 2013, 37,7077-7085. Vo, T.P., Thai, H.T., Nguyen, T.K., Inam, F., Lee, J., Static behaviour of functionally graded sandwich beams using a quasi-3D theory, Composistes Part B, 2015, 68, 59-74. Filippi, M., Carrera, E., Zenkour, A.M., Static analyses of FGM beams by various theories and finite elements, Composites Part B, 2015, 72, 1-9. Jing, L.L., Ming, P.J., Zhang, W.P., Fu, L.R., Cao, Y.P., Static and free vibration analysis of functionally graded beams by combination Timoshenko theory and finite volume method, Composite Structures, 2016, 138, 192-213. Aydogdu, M., Taskin, V., Free vibration analysis of functionally graded beams with simply supported edges, Materials&Design, 2007, 28:1651–6. Sina S.A., Navazi H.M., Haddadpour H., An analytical method for free vibration analysis of functionally graded beams, Materials&Design, 2009, 30:741–7. Simsek, M., Fundamental frequency analysis of functionally graded beams by using different higher-order beam theories, Nuclear Engineering and Design, 2010, 240:697–705. Simsek M., Kocaturk T., Free and forced vibration of a functionally graded beam subjected to a concentrated moving harmonic load, Composite Structures, 2009, 90:465–73. Simsek, M., Vibration analysis of a functionally graded beam under a moving mass by using different beam theories, Composite Structures, 2010, 92:904–17. Sanjay, A.K., Gupta, R.K., Ramachandran, P., Venkateswara, R.G., Free vibration analysis of functionally graded beams, Defence Science Journal, 2012, 62 (3):139–46. Mahi, A., Adda Bedia E.A., Tounsi, A., Mechab, I., An analytical method for temperature-dependent free vibration analysis of functionally graded beams with general boundary conditions, Composite Structures, 2010, 92:1877–87. Pradhan, K.K., Chakraverty, S., Free vibration of Euler and Timoshenko functionally graded beams by Rayleigh-Ritz method, Composites Part B, 2013, 51:175–84. Pradhan, K.K., Chakraverty, S., Effects of different shear deformation theories on free vibration of functionally graded beams, International Journal of Mechanical Sciences, 2014, 82:149–60. Nuttawit, W., Variddhi, U., Free vibration analysis of functionally graded beams with general elastically end constraints by DTM, World Journal of Mechanics, 2012, 2:297–310. Su, H., Banerjee. J.R., Cheung, C.W., Dynamic stiffness formulation and free vibration analysis of functionally graded beams, Composite Structures, 2013, 106:854–62. Li, S.R., Wan, Z.G., Zhang, J.H., Free vibration of functionally graded beams based on both classical and first-order shear deformation beam theories, Applied Mathematics and Mechanics, 2014, 35:591–606. Aydogdu, M., Thermal buckling analysis of cross-ply laminated composite beams with general boundary conditions, Composite Science and Technology, 2007, 67:1096–104. Aydogdu, M., Semi-inverse method for vibration and buckling of axially functionally graded beams, Journal of Reinforced Plastics&Composites, 2008, 27:683–91. Kiani, Y., Eslami, M.R., Thermal buckling analysis of functionally graded material beams, International Journal of Mechanics and Materials in Design, 2010, 6:229–38. Huang, Y., Li, X.F., Buckling analysis of nonuniform and axially graded columns with varying flexural rigidity, Journal of Engineering Mechanics, 2011, 137(1):73–81. Shahba, A., Attarnejad, R., Marvi, M.T., Hajilar, S., Free vibration and stability analysis of axially functionally graded tapered Timoshenko beams with classical and non-classical boundary conditions, Composites: Part B 2011, 42:801–8. Nateghi, A., Salamat-talab, M., Rezapour, J., Daneshian, B. Size dependent buckling analysis of functionally graded micro beams based on modified couple stress theory. Applied Mathematical Modellling, 2012, 36:4971–87. Akgöz B, Civalek Ö., Buckling analysis of functionally graded microbeams based on the strain gradient theory, Acta Mechanica, 2013; 224:2185–201. Simsek M., Buckling of Timoshenko beams composed of two-dimensional functionally graded material (2D-FGM) having different boundary conditions, Composite Structures, 2016; 149: 304–314. Donning, B.M., Liu, W.K., Meshless methods for shear-deformable beams and plates, Computer Methods in Applied Mechanics and Engineering, 1998, 152, 47-71. Gu, Y.T., Liu, G.R., A local point interpolation method for static and dynamic analysis of thin beams, Computer Methods in Applied Mechanics and Engineering, 2001, 190,42, 5515-5528. Ferreira, A.J.M., Roque, C.M.C., Martins, P.A.L.S., Radial basis functions and higher-order shear deformation theories in the analysis of laminated composite beams and plates, Composite Structures, 2004, 66, 287-293. Ferreira, A.J.M., Fasshauer, G.E., Computation of natural frequencies of shear deformable beams and plates by an RBF-pseudospectral method, Computer Methods in Applied Mechanics and Engineering, 2006, 196, 134-146. Moosavi, M.R., Delfanian, F., Khelil, A., The orthogonal meshless finite volume method for solving Euler–Bernoulli beam and thin plate problems, Finite Elements in Analysis and Design, 2011, 49, 923-932. Wu, C.P., Yang, S.W., Wang, Y.M., Hu, H.T., A meshless collocation method for the plane problems of functionally graded material beams and plates using the DRK interpolation, Mechanics Research Communications, 2011, 38, 471-476. Roque, C.M.C., Figaldo, D.S., Ferreira, A.J.M., Reddy, J.N., A study of a microstructure-dependent composite laminated Timoshenko beam using a modified couple stress theory and a meshless method, Composite Structures, 2013, 96, 532-537. Lucy LB, A numerical approach to the testing of the fission hypothesis, Astronomical Journal, 1977, 82, 1013–1024. Chen JK, Beraun JE, Jin CJ, An improvement for tensile instability in smoothed particle hydrodynamics, Computational Mechanics, 1999, 23, 279–287. Chen JK, Beraun JE, Jin CJ, Completeness of corrective smoothed particlemethod for linear elastodynamics, Computational Mechanics, 1999, 24, 273–285. Liu WK, Jun S, Zhang YF, Reproducing kernel particle methods, International Journal for Numerical Methods in Fluids, 1995, 20, 1081–1106. Liu WK, Jun S, Li S, Adee J, Belytschko T, Reproducing kernel particle methods for structural dynamics, International Journal for Numerical Methods in Engineering, 1995, 38, 1655–1679. Chen JS, Pan C,Wu CT, Liu WK, Reproducing kernel particlemethods for large deformation analysis of non-linear structures, Computer Methods in Applied Mechanics and Engineering, 1996, 139, 195–227. Zhang GM, Batra RC, Modified smoothed particle hydrodynamics method and its application to transient problems, Computational Mechanics, 2004, 34, 137–146. Batra RC, Zhang GM, Analysis of adiabatic shear bands in elasto-thermo- viscoplastic materials by modified smoothed particle hydrodynamics (MSPH) method, Journal of Computational Physics, 2004, 201, 172–190. Zhang GM, Batra RC, Wave propagation in functionally graded materials by modified smoothed particle hydrodynamics (MSPH) method, Journal of Computational Physics, 2007, 222, 374–390. Batra RC, Zhang GM, Search algorithm, and simulation of elastodynamic crack propagation by modified smoothed particle hydrodynamics (MSPH) method, Computational Mechanics, 2007, 40, 531–546. Zhang GM, Batra RC, Symmetric smoothed particle hydrodynamics (SSPH) method and its application to elastic problems, Computational Mechanics, 2009, 43, 321-340. Batra RC, Zhang GM, SSPH basis functions for meshless methods, and comparison of solutions with strong and weak formulations, Computional Mechanics, 2008, 41, 527-545. Tsai CL, Guan YL, Batra RC, Ohanehi DC, Dillard JG, Nicoli E, Dillard DA, Comparison of the performance of SSPH and MLS basis functions for two-dimensional linear elastostatics problems including quasistatic crack propagation, Computational Mechanics, 2013, 51, 19-34. Tsai CL, Guan YL, Ohanehi DC, Dillard JG, Dillard DA, Batra RC, Analysis of cohesive failure in adhesively bonded joints with the SSPH meshless method, 2014, International Journal of Adhesion & Adhesives, 51, 67-80. Karamanli A, Mugan A, Solutions of two–dimensional heat transfer problems by using symmetric smoothed particle hydrodynamics method, Journal of Applied and Computational Mathematics, 2012, 1, 1-6. Karamanli A, Bending Deflection Analysis of a Semi-Trailer Chassis by Using Symmetric Smoothed Particle Hydrodynamics, International Journal of Engineering Technologies, 2015, Vol. 1, No:4, 134-140. Karamanli A, Mugan A, Strong from meshless implementation of Taylor series method, Applied Mathematics and Computation, 2013, 219, 9069-9080. Karamanli A, Different Implementation Approaches of the Strong Form Meshless Implementation of Taylor Series Method, International Journal of Engineering Technologies, 2015, Vol. 1, No:3, 95-105. Love, A.E.H., 1927, A Treatise on the Mathematical Theory of Elasticity, fourth ed. Dover Publications, New York. Timoshenko, S.P., Goodier, J.C., 1970, Theory of Elasticity, McGraw-Hill Co. Inc., New York. Wang, C.M., Reddy, J.N., Lee, K.H., 2000, Shear Deformable Beams and Plates Relations with Classical Solutions, Elsevier Science Ltd., Oxford. Polizzotto, C., 2015, From the Euler-Bernoulli beam to the Timoshenko one through a sequence of Reddy-type shear deformable beam models of increasing order, European Journal of Mechanics A/Solids, 53, 62-74. Levinson, M., 1981. A new rectangular beam theory, Journal of Sound and Vibration, 74, 81-87. Bickford, W.B., 1982. A consistent higher order beam theory, Developments in Theoretical and Applied Mechanics, 11, 137-150. Heyliger, P.R., Reddy, J.N., 1988, A higher order beam finite element for bending and vibration problems, Journal of Sound and Vibration, 126 (2), 309-326. Subramanian, P., 2006, Dynamic analysis of laminated composite beams using higher order theories and finite elements, Composite Structures, 73, 342-353. Reddy, J.N., 2007, Nonlocal theories for bending, buckling and vibration of beams, International Journal of Engineering Science, 45, 288-307. Carrera, E., Giunta, G., 2010, Refined beam theories based on a unified formulation, International Journal of Applied Mechanics, 2 (1), 117-143. Giunta, G., Biscani, F., Bellouettar, S., Ferreira, A.J.M., Carrera, E., 2013, Free vibration analysis of composite beams via refined theories, Composites Part B, 44, 540-552. Arya, H., 2003, A new zig-zag model for laminated composite beams: free vibration analysis, Journal of Sound and Vibration, 264, 485-490. Jun, L., Hongxing, H., 2009, Dynamic stiffness analysis of laminated composite beams using trigonometric shear deformation theory, Composite Structures, 89, 433-442. Kurama, M., Afaq, K.S., Mistou, S., 2003, Mechanical behavior of laminated composite beams by the new multi-layered laminated composite structures model with trigonometric shear stress continuity, International Journal of Solids and Structures, 40, 1525-1546.